I've tried this morning to mimic a 3D image using one picture + zBuffer instead of the classic way, compute one picture for each eye. There's still some artifact, especially to fill the "empty" areas for each eye. It work with red/cyan glasses, I've no 3D TV but I think it could work using frame sequential 3D or side-by-side (but will reduce resolution). Last Edit: 3 years 3 months ago by 04348. 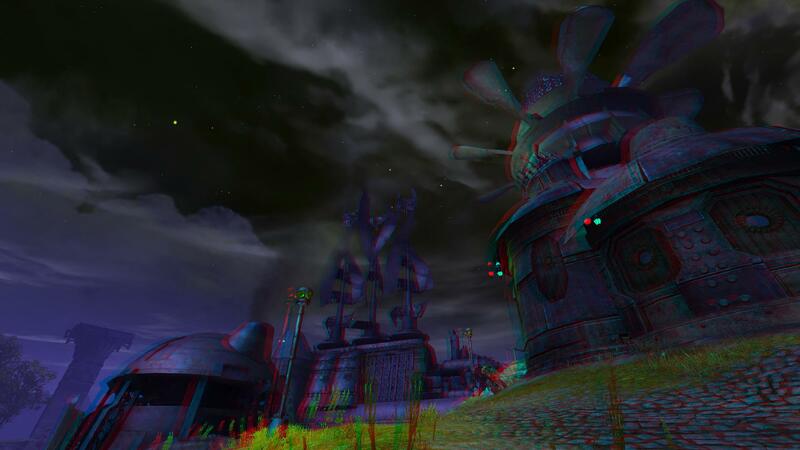 I don't have red/cyan glasses at hand unfortunately, but judging from the debug output it looks pretty cool. Nice job! Hey, for one, this is great, i've been looking for an anaglyph 3d shader for a while, considering in theory it's not hard to do cheap 3d with depth information. Either that or does it depend on something else enabled to define things? Last Edit: 3 years 1 month ago by 04348. Here is my Take on your script For Side By Side 3D. I would love for some one that's better at this then I to help make this better. Last Edit: 2 years 10 months ago by BlueSkyKnight. This is my new prototype. This one allows you to change the depth map settings and view it in real time to adjust the depth map to your liking. I have a problem with image halos but the depth you get in 3D is better now. Also here is the reshade.me/compatibility ReShade Compatibility List too see if your game is supported. Some games on here do work even if it says it dose not work like Among the Sleep does work. So take this list with a grain of salt. [Compatibility](reshade.me/compatibility) will depend on Depth Access. *Cleaned a lot of my left over trash in the script. *4 Alternate DepthMap options adjust Near Far Cam Automatically. They are the Basic Depth maps you can use for your games listed and not listed. Look at this link for other game Compatablity. At this link look for Depth Map compatablity. I will no longer be posting updates here. As this forum pertains to 3D anaglyph shader. Last Edit: 2 years 9 months ago by BlueSkyKnight.